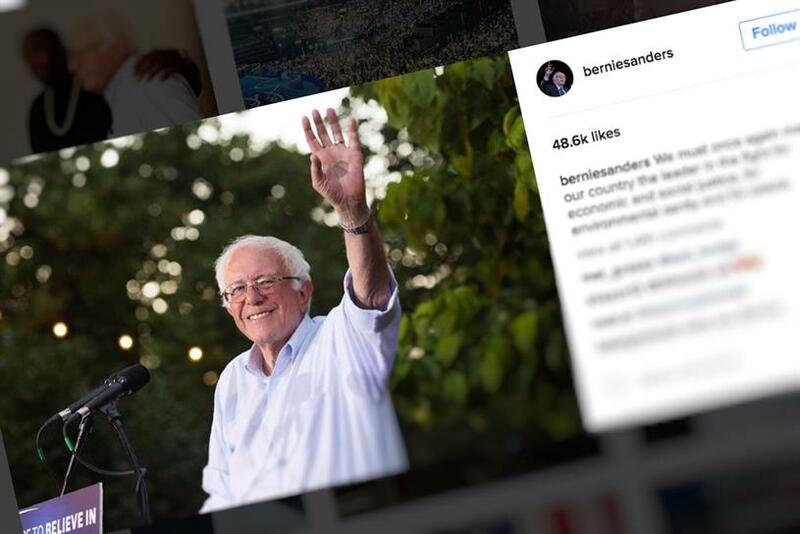 Irrespective of whether Bernie Sanders’ message resonated with you or not, there are still things marketers can learn from his campaign, not the least of which is that it takes more than a year to really establish what a brand stands for. The fundamental challenge that Sanders faced was overcoming the huge advantage that Clinton held in terms of her salience with voters. Years of high profile media coverage had ensured that Clinton’s name was known and came readily to mind when people thought about who they might vote for. While Sanders had the support of an active and engaged group of supporters, he lacked salience and reaching the less-motivated masses proved challenging. Sanders’ biggest challenge was to take his message and make it meaningful and salient to as many voters as possible. While well-known in political circles and in his home town of Burlington, Vermont, when Sanders officially announced his run for the Democratic Party nomination on May 26, 2015, he was little known to the populace at large. Likely Democratic caucus-goers in Iowa polled that month were over three times more likely to make Clinton their first choice as Sanders. A year later, Clinton won the Iowa caucuses by a razor-thin margin, a testament to the significant strides that the Sanders campaign had made in the intervening time period, but also testimony to the fact that it takes time and resources for any challenger brand to make its mark. In the end, though, a meaningfully different platform and good momentum were not enough to win the day. Nationwide Clinton ended up winning 55 percent of the overall popular vote and Sanders 43 percent. In research conducted by Millward Brown in April 2016, using our Meaningfully Different Framework to evaluate the standing of the different candidates, we found that Sanders was indeed perceived to be meaningful by a large percentage of voters. They had liked him and saw him as addressing their needs. He was also seen to be different: unique and setting the political trends. By contrast, Clinton was less meaningful and much less likely to be perceived as different. However, she remained hugely salient, far more so than Sanders, and, at the end of the day, that salience helped her secure the nomination. Compared to most new brand launches in the U.S. market, Sanders achievement was, yes, huge. On average, a new brand will achieve brand name recognition of about 40 percent among category users, never mind a 40 percent market share. Of course, few brands spend anywhere near what the two Democratic candidates did; many advertisers spend relatively little on building their brand in the first year and then cut their budget in the second year, assuming that the brand has been established. On reflection, it seems bizarre that any marketer would believe their brand is positioned for success when less than half its audience even knows it exists. Salience remains the primary growth driver for politicians just as it does for brands. However, a meaningfully different platform helped Sanders grow his salience far faster than Democrat Martin O’Malley and, in addition, helped him raise more than $220 million from small, individual contributions in contrast to Clintons’ reliance on larger donations from donor events. In the brand world, this sort of commitment translates into a willingness to pay the price asked. Sanders brand profile is typical of brands with the potential to grow, given time and investment. Commercial brands in our brand database with a similar profile include Instagram, JetBlue and Ghirardelli Chocolate. Instagram grew quickly by democratizing photography and connecting people, while JetBlue challenged the airline category with personalization and engagement. The Ghirardelli Chocolate brand has driven meaning and difference through quality and taste, and its parent company, like Sanders, is committed to sustainability. In comparison, the study showed that Hillary Clinton’s brand lined up with the profiles of American Airlines, the United States Postal Service and Visit Florida, the state’s tourism organization. While these brands are not known for being particularly innovative or disruptive, each brand has a clear and accessible consumer offer that has been relied on over time. Surprisingly, or perhaps not, we found, amongst 100,000 brands in our database, no comparisons for presidential candidate Donald Trump’s brand. While brand campaigns and political campaigns might seem to be night and day in terms of strategies, there are learnings that can be gleamed by looking at how the candidates cultivated and grew their own personal brands. Brands often have a luxury that candidates don’t—time. They should use it.